Got snow? Get out that shovel -- again. Your Saturday trip to Starbucks or the gym probably included driving or trudging through 3-5 inches of snow. Kudos to those of you who were really motivated and shoveled first. 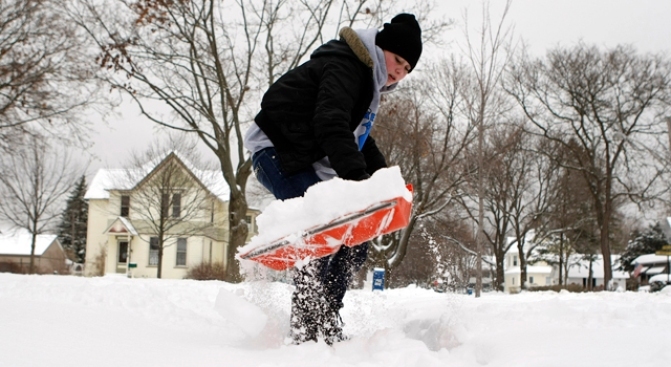 The highly -publicized winter storm for the Chicago area dumped several inches overnight with the a second round coming later Saturday that could leave as much as seven inches of snow by the afternoon. Chicago sent out its full fleet of 274 snow-fighting trucks, which were trying to clear main roadways and keep them clear. Officials are warning drivers to use caution. Chicago aviation officials say about 30 flights have been canceled at O'Hare International Airport.